The individual components in your car have a service life and often require scheduled service tasks to prevent failure. Over time, however, car components and parts undergo wear and tear which means they need replacement so your vehicle can run at its best. When you need auto parts replacement service in Austin and the surrounding areas, turn to the most reliable, honest, and convenient mobile car mechanic. With ASE certification and over 10 years of experience and expertise, you can rest assured of the most convenient and reliable auto parts replacement service without having to use your personal time. The repair shop will be brought to your location. When you call, I’ll come to your location and diagnose the problem with your vehicle at or fix price. If parts are needed to fix your auto problem, you with a quote on the spot, pick up the parts, and replace them to safely and quickly get you going again! Choose the best Mobile Auto Repair Service in Austin, and see for or fix difference in your automobile. I hope I have the privilege to replace your auto parts and repair your vehicle so it can run efficiently. 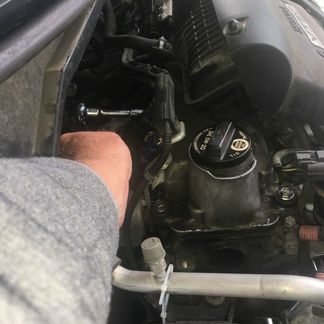 I’m committed to conveniently completing every type of parts replacement and auto repair the right way the first time, right at your home, office or roadside. No other option is as hassle, free, more convenient, and cost-effective than hiring a Mobile Auto Repair Mechanic Service. Get in touch today!